The Netflix drama-mystery series “13 Reasons Why” has scheduled an open casting call for June 4, 2017 in Northern California seeking people of all ages and types to work a fully paid extras and stand-ins for season 2. Speaking roles are also being cast for season 2 in Los Angeles and San Francisco. The series is based on the 2007 novel “Thirteen Reasons Why” by Jay Asher. ALMA Award winner Selena Gomez executive produces with her July Moon Productions partner Mandy Teefey. Diana Son and Brian Yorkey also executive produce and serve as co-showrunners on the series. “13 Reasons Why” centers on thirteen different high school students who receive audio tapes from a recently deceased classmate, informing each of them how they contributed to her decision to kill herself and instructions on what to do. If the chain is broken, an unknown second set of tapes will be released to the rest of the student body. “13 Reasons Why” season 2 will premiere worldwide in 2018 on Netflix. The popular Netflix series “13 Reasons Why” has scheduled the following open casting call for the show’s second season. To be considered, all adults, children and foreign talent must be legally eligible to work on television shows in the San Francisco Bay Area and in the United States. Minors need a California Entertainment Work Permit. The 2017 San Francisco Actors Resource Guide eBook has the information and documentation necessary for all talent to work in the entertainment in Northern California and in the United States. All ages and types of any ethnicity are welcome to attend the open casting call, both union and non-union talent. Minor teens and kids must be accompanied by a parent or legal guardian. 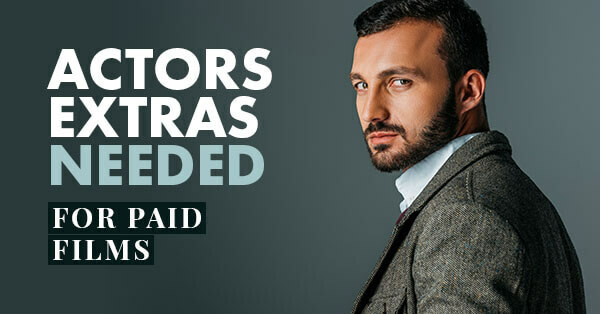 No previous experience is required, and these are fully paid positions as extras and stand-ins. Especially needed are people between the ages of 18 – 26, to portray high school students, cheerleaders, coffee shop patrons, teachers and high school athletes. Shooting on season two will take place in the San Francisco area, specifically in San Rafael, Sebastopol and Vallejo. Please bring a non-returnable recent color photo and a resume if available, but not required. Two photos will be taken at the open casting call. Please dress casual with minimal makeup. Men who are trying out for a high school role are asked to come clean-shaven. If you are unable to attend the open casting call, you can register online here. To register with Nina Henninger Casting, submit to the address below. Starring and supporting roles are being cast through talent agents in Los Angeles and San Francisco. You can find comprehensive listings and submission addresses for talent agents here. However, if you are not signed with an agent and wish to self-submit, I highly recommend that your 8×10 color headshot and resume along with the cover letter be sent in a 9 x 12 Clear Full Face Window Envelope with the photo visible in the window. Click Here to purchase 9 x 12 Clear Full Face Window Envelopes. Click Here to purchase the best resume and cover letter paper.